TCF got a chance to hang out for the Draper James X ELOQUII Launch in Atlanta,GA. Not only was it a great time to see the new line, but it was also the opportunity to try on the new pieces! Have you heard the news? A few months back, Draper James and ELOQUII have teamed up for a fun collaboration, bringing Draper James’ style to the plus size shopper, with the help of Eloquii! 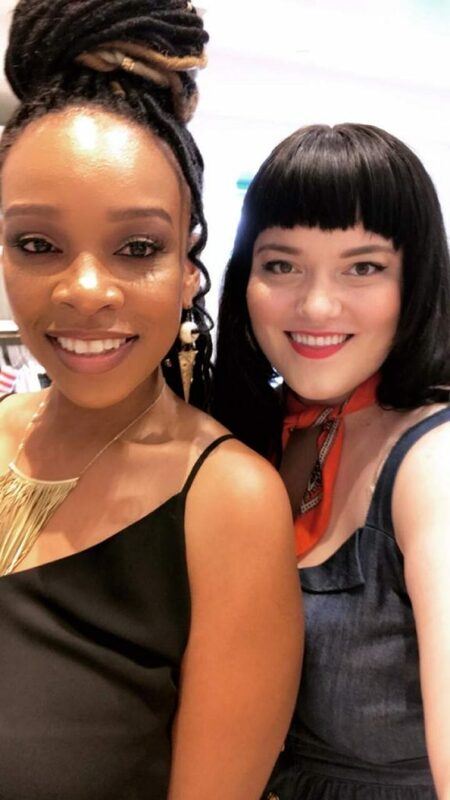 Well, back for a new capsule in this collaboration series, Draper James x Eloquii held an in-store launch in Atlanta and Vee from the TCF team was there to enjoy the fashions presented! There was great food, flirty fashion and lots of fun! 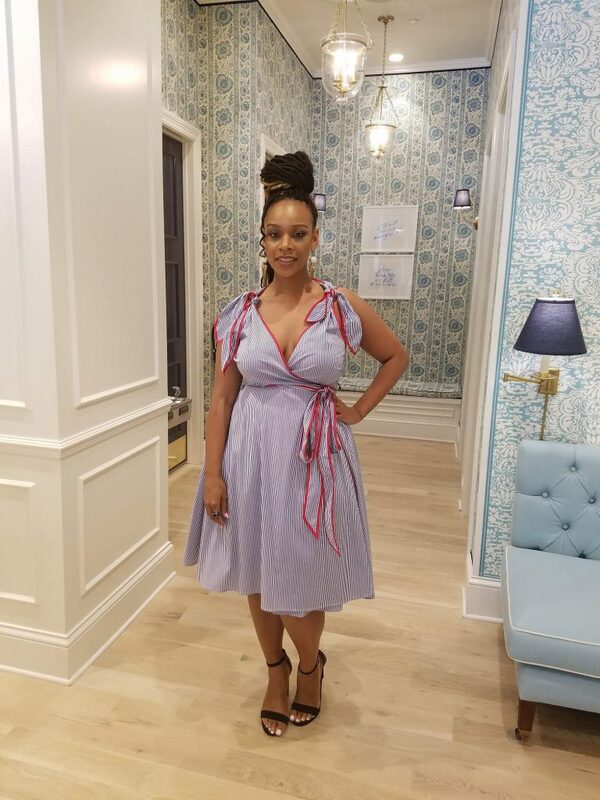 The launch was lead by ELOQUII’s Senior Social Media Strategist, Charlotte Zoller, who was as cute as peach in her southern girl inspired look. 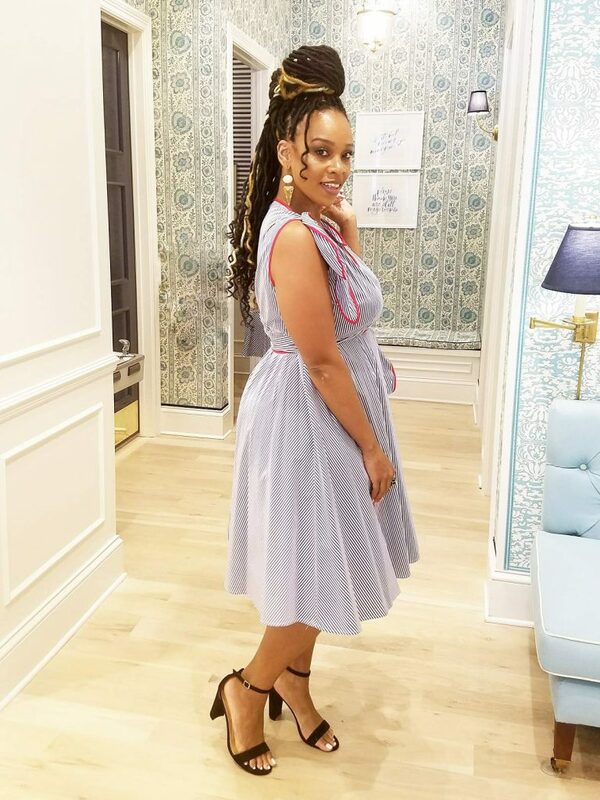 Wearing the “Button-front Chambray dress,” a customer favorite, Charlotte explained that the line is a perfect combination of the signature Draper James patterns with the ELOQUII shape and style. Sounds like a match made in fashion heaven, right? Vee Prince has a selfie moment Eloquii’s Senior Social Media Strategist, Charlotte Zolle. The launch party was like a fashion show waiting to happen for all of us there. There was the opportunity to try on the different looks and that’s just what we did. 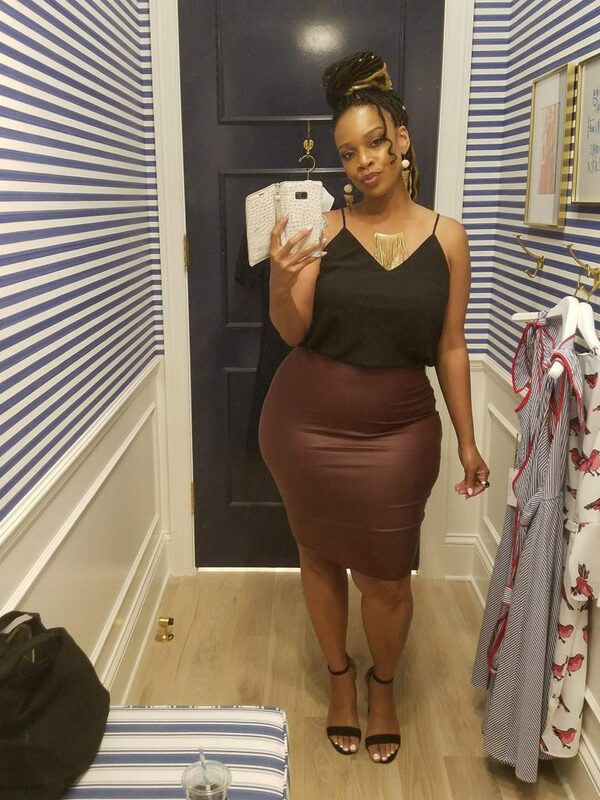 I tried on a couple of looks and fell in love with how they flattered my figure. Let us all give props for the waist-definition here, right? The Draper James dressing room is a must-have selfie station. The “Flare Sleeve Printed Dress” is a fun Spring look. This shift dress is made with a light polyester blend, which stays cool in the warmer months, and comes with a matching sash for easily cinching the waist. 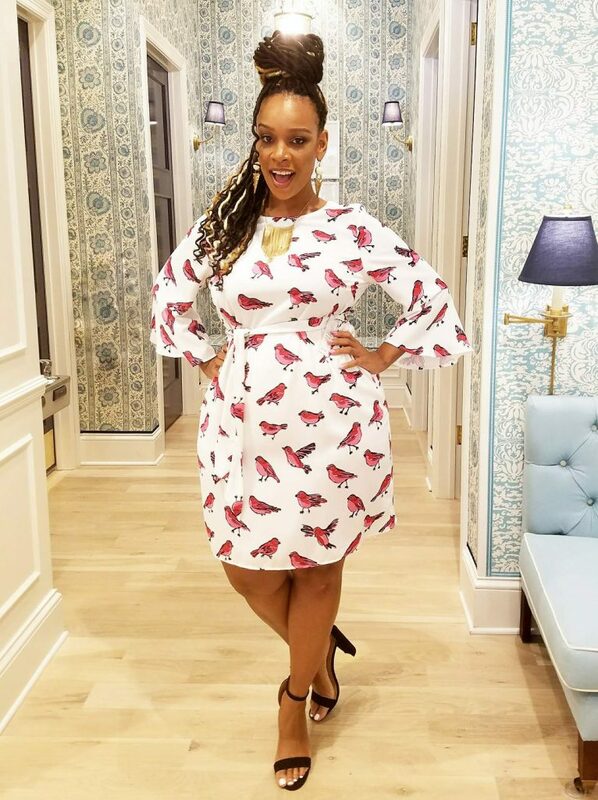 Vee Prince wears Eloquii + Draper James Flare Sleeve Printed Dress in a size 16. The “Stripe Wrap Dress” is an absolute darling of a dress with bow-accented shoulder bands. The light stretch woven fabric accentuates the frame with a classics silhouette. Perfect for a lunch date or attending the county fair (can you say “photoshoot worthy?”). 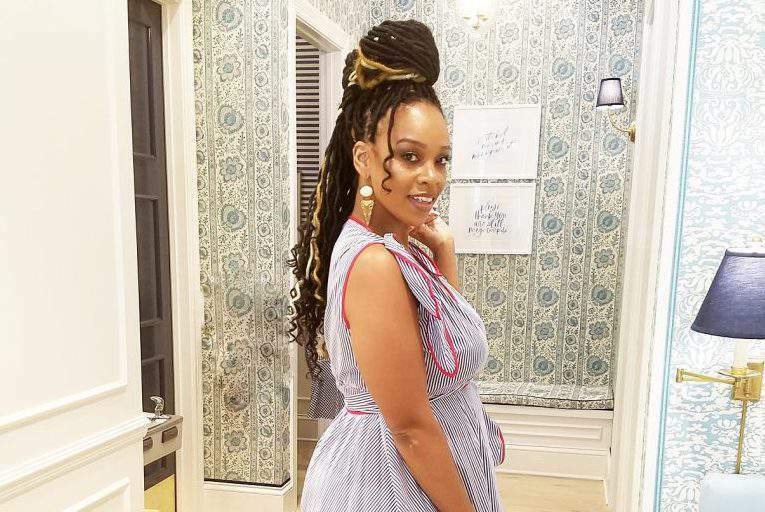 Vee Prince wears Eloquii + Draper James Stripe Wrap Dress in a size 14. Last week, we shared with you the full lookbook of the Hello Darling Collection. Did you see it? Playful prints, feminine and ladylike silhouettes, the Draper James x Eloquii collection runs from a size 12-28 and boasts 40 pieces to play in! Soooooo, what do we think? Are you a fan of this new collection? Have you made it to any of the new Eloquii stores? You know, they keep popping up. We are still waiting for the Atlanta location to happen! Which pieces could you see yourself wearing this summer?